ACPA Foundation is pleased to announce that we are now accepting nominations for the ACPA Diamond Honoree Class of 2018. Nominees should have demonstrated sustained contributions to ACPA, higher education, and the Student Affairs profession at the local, state, regional, national, or international levels. Following review of the nominations received by the ACPA Foundation Board of Trustees, the ACPA Diamond Honoree Class of 2018 will be selected. While a Diamond Honoree Award serves to recognize significant contributions, the program is also an important fundraiser for the Association. Contributions in recognition of the ACPA Diamond Honorees support the research, scholarship, and professional development efforts of ACPA. Nominators serve as champions of the fundraising process for their Diamond Honoree by helping to raise a minimum of $2,500 in recognition of their Honoree. Those selected since the program’s inception in 1999 have distinguished themselves as teachers, administrators, researchers, writers, and Association leaders. To learn more about the ACPA Diamond Honoreeprogram, and to view a list of those already recognized, visit the ACPA Foundation website here. The ACPA Foundation hopes that you will consider nominating someone you believe is deserving of this honor. The ACPA Diamond Honoree Class of 2018 will be recognized at the 2018 ACPA Annual Convention in Houston, TX, USA. Nominations are due by Friday, September 15, 2017 and should be submitted to Heidi at her email address, listed below. The ACPA Diamond Honoree Champions website includes details about the nomination requirements, as well as what is required to conduct a successful campaign. Questions regarding the ACPA Diamond Honoree Class of 2018 nomination process should be directed to Kathleen Kerr, kkerr@udel.edu; or Heidi Levine, heidi.levine@simpson.edu. Thank you for supporting this important program that recognizes our outstanding colleagues! Dissertation of the Year Submissions Deadline Approaching! The purpose of this award is to recognize a completed dissertation that demonstrates scholarly excellence and makes a substantial contribution to knowledge in the general field of student affairs/student services. It may be in any scholarly tradition or methodology and focus on any topic in the field. Eligible dissertations must have met all requirements of the applicant’s institution and have been signed by the applicant’s dissertation committee between April 1, 2016 and August 1, 2017. A dissertation may only be nominated once. Dissertations previously nominated will not be reconsidered. The faculty nominator must be the dissertation committee chair or member of the dissertation committee and a member of ACPA at the time of the nomination. The nominee must be a member of ACPA prior to receipt of the award. One recipient will be selected annually. Additional nominees may be cited for excellence. The recipient will receive a plaque, complimentary annual convention registration for the recipient and their advisor, and a cash award of $2500. The recipient will have a reserved slot to present the dissertation results in a session at the convention. The application package should be submitted using the online application linked below. Nominators will upload the required documents when submitting the application. The applicant must submit a 15 double-spaced page abstract of the dissertation (inclusive of any tables and/or figures). The abstract should include the following: (1) full dissertation title; (2) statement of the study’s purpose; (3) research questions, if applicable; (4) significance of the study; (5) theoretical or conceptual underpinnings, if applicable; (6) methods – research design/approach, sampling, data collection procedures or data sources used, and data analysis; (7) summary of key findings; and (8) implications for practice, policy, and/or future research. The abstract should contain no identifying information that reveals the author, committee members, or institution. Additionally, up to three single-spaced pages of references in APA format can accompany the abstract and will not be included in the 15-page limit. The selection process is masked. That is, the applicant and the dissertation committee members’ identities are masked from the reviewers. The committee chair will ensure that dissertations from the reviewers’ institutions do not review nominees’ materials. Committee members will recuse themselves if they are acquainted with the nominee, committee members, or the dissertation. The applicant’s dissertation advisor must sign and submit a certificate statement verifying the applicant has met the degree requirements of the institution and has been signed off by the applicant’s dissertation committee between April 1, 2016 and August 1, 2017. The recipient will be selected no later than December 15, 2017. Decisions of the committee are final. The deadline for submissions is September 1, 2017. Complete the application and upload documents below. Please direct questions to Dr. Dawn R. Johnson, Dissertation of the Year Committee Chair. As you prepare for the 2017 ACPA Convention and the great professional development opportunities ahead, the ACPA Foundation hopes you consider booking any of the excellent speakers featured at the 2017 Speaker Showcase this year. Bidding will be available at Convention at the ACPA Foundation table near Registration. These colleagues have offered their expertise and time as a donation to the ACPA Foundation. Your winning bid supports the great professional development and research of ACPA. Plan ahead for your student orientation, state division conference, or professional development series by booking your speaker at Convention. Find out more about each speaker ONLINE and learn how to bring these amazing, innovative thinkers to your students or colleagues. 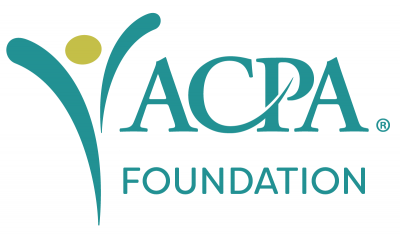 Remember, when you support the ACPA Foundation, you are supporting the amazing work of ACPA. Please contact Sandra Emerick, ACPA Foundation Trustee with questions, ideas and feedback at 330.325.6759 or semerick@neomed.edu.